Chimera custom machined fork tubes for RRGS, Feign, and GJMS forks! 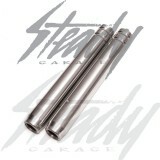 Get your Feign SB low forks or RRGS Low Down V2 even lower! Chimera fork tubes are perfect for those who are looking forward to raising their RRGS Low Down V2 or lowering their Feign SB Forks. 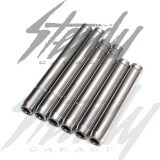 Will work with any forks that has a outside diameter of 26.95mm, such as GJMS, RRGS, Feign, and such. These fork tubes will not work with any JDM brand forks, such as KN or OEM Honda Dio Zx forks. 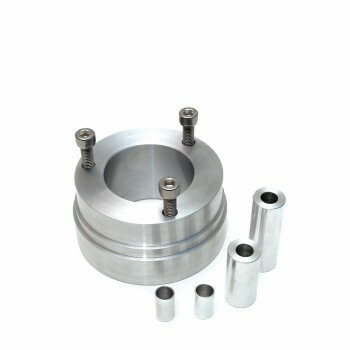 -Regular: 230mm from end to end. 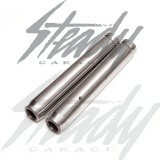 -Regular height for RRGS Low Down V1 and Feign SB forks. -Mild Drop: 203mm from end to end- Also has two ride-height positioning groves that will give you an additional 15mm ride height adjustment. 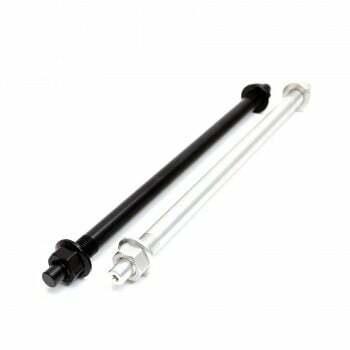 -If being used with Feign SB or RRGS Low Down V1 Forks, it will put the forks to the same height as RRGS Low Down V2, lowering it 1". 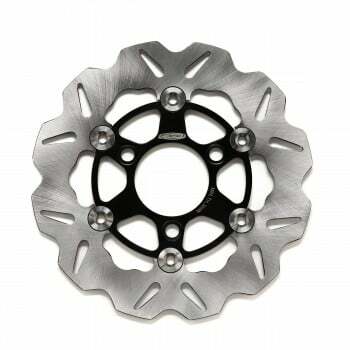 -Ultra Low: 175mm from end to end- being able to acheive the lowest ride height without sacraficing suspension travel. 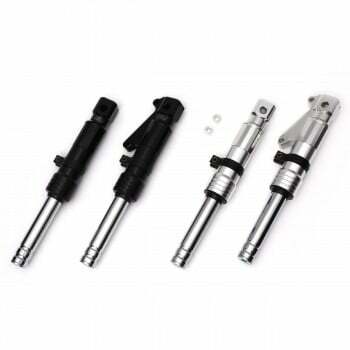 -If being used with RRGS Low Down V2 forks, the Ultra Low tubes will lower the front forks an additional 1.25"
Note: New fork oil with higher oil viscosity is recommended. If you are going with lower shock tubes than what you already have, be prepare to trim the existing fork springs a few coils (more coils trimmed= softer, less coils trimmed = stiffer) For those that are looking forward to raising their forks, you will need longer springs or pre-load spacers to fill the void.